How important is site speed for WordPress sites? My question is about site speed issues and WordPress themes. Ever since the rollout of Google's mobile-first indexing, site speed has been a pesky issue on a number of levels. Mobile vs. Desktop - do we need to worry about speed timings for both, or should we just focus on mobile? What is a good site speed? Do we need to get them below 1s? I keep running into sites built on bloated WordPress Themes. The developers are having fits every time I deliver a report full of site speed issues and they all say they can't fix them. Do you have any recommendations of a good WordPress Theme? I have sites that have dropped considerably for some key converting terms and the only issues I'm finding are related to site speed. Is site speed that big of a ranking factor or am I just getting distracted by it? Mobile vs. Desktop? Focus on Mobile, that's what Google is looking at. A good site speed? 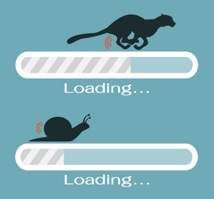 We wouldn't be concerned if a site loads in around 7-10 seconds on 3g Mobile. That would be quite common on a moderately optimized WP site. Of course, faster is better – but that's more of a UX / Conversion situation so you won't see a ranking difference.